For your transport & removals from the UK to Spain, or a removal from Spain to the UK. Watch our video to find out more. We’re fully insured and professional – and so stress free for you. We at Indalo Transport are experts in removals between the UK and Spain. We’ve been vetted by Trading Standards and are a member of their ‘Buy with Confidence’ scheme. We’re also an accredited member of Move Assured, so you can be certain that when Indalo Transport is helping you to relocate within the EU, or you need something delivering from the UK to Spain, your items are in safe and reliable hands. Seeing as you found your way here, I think it’s safe to say that you’re in need of a removals company that specializes in helping would be expats relocate from the UK to Spain or to France. We also run a pan-European delivery service, so once you’re abroad and you’ve run out of all the Great British delights that you grew to love back in the UK, you can order them online from UK stores, have them delivered to our depot in England, and then we’ll transport the items you bought, safely to you. I guess Indalo Transport is what you’d call an old fashioned, down-to-earth, family run removals company. The team are caring, honest, courteous and most importantly, we’re highly professional. As cliché as it sounds, we will never let you down. If we say that we’re going to be somewhere at a given time, we will be. If we say we’re going to do something, we’ll get it done. I could go on and on about all the amazing things which set us apart from our competition, but here are the top 3 reasons why I hope you’ll want to choose Indalo Transport for your home removal from the UK to Spain. We’re very knowledgeable about removals to Spain from the UK and we’ve had many success stories over the years demonstrating our expertise at getting customer’s precious goods safe and sound to their final destination. After six years of being in business, we’ve helped countless families begin their expat adventure in the best way possible – with a stress free reliable move. Many of our valued customers have used us more than once! Because all of the team are expats themselves, we all have a pretty good idea of what makes moving abroad a successful venture.We therefore know from experience that expats can face many challenges in a new environment. We’re fully insured and legally entitled to carry goods for hire or reward, which is unfortunately something you may not get with other removals companies. As well as being vetted and approved by Trading Standards, we’re also an accredited member of Move Assured, a professional movers organization that has members and teams all over the UK, that help each other and work together, which means we can handle any size of removal. Relocating to Spain from the UK is a completely different kettle of fish to moving within Great Britain, and I know that you realise that this sort of thing is going to cost you a bit more money than a standard UK removal. However, we can make the experience a whole lot easier. Whether it’s a part load from the UK to Spain or France, or a full house removal from Spain to the UK or from UK to Spain, whether you’d like us to pack for you or if you’d just like to purchase moving materials from us to pack the items yourself, using Indalo Transport as your removals service can save you money, time and hassle. Our personal experiences of relocation means that “we know what it’s like” so we help our customers avoid problems rather than offering them advice if things happen to go wrong. We take pride in being meticulous and conscientious, so rest assured that when we pack your items, we’ll treat them as if they were our own. Your items really are in safe hands. Our fees are bespoke to every customer’s individual needs, so each quote we give is unique. Our prices are very competitive, and include full ‘goods in transit’ insurance up to £60,000. With our regular trips between the UK and Spain, and the ability to handle any size removal, you will truly have a stress free experience when you decide to move between Spain and the UK with us. We are constantly looking to the latest technological advancements to help keep Indalo Transport as one of the forerunners of removal companies who provide removal services from the UK to Europe. We use the latest in Cloud based technology to help maintain constant communication with our customers. The quilted removals pads, and quilted television and sofa covers we now use to protect customer’s belongings are a recent innovation that have really modernized home removals, and are an important addition especially on such long haul drives to Spain. All our vehicles are virtually new, which helps us provide a highly reliable service. As well as that, it helps with fuel saving and is kinder to the environment. I would also like to assure you that we take feedback and suggestions for improvement very seriously. That way, Indalo Transport has ample opportunity to develop and remain the very best European removals service around. So there you have it, the top three reasons why you should really consider using Indalo Transport as your removals company. If you’d like to find out more, please visit our About page. 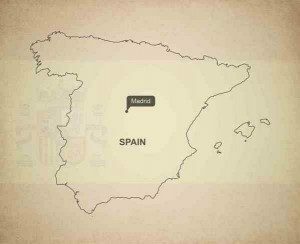 Our European Removals page gives you more information about our specialist removal from the UK to Spain service, and our Local Delivery and UK Shopping From Spain pages will fill you in on all you need to know about the delivery services we have to offer. If you’d like to learn more about becoming an expat, please check out our blog, or alternatively, drop us a message or give us a call.